This program is for children that turn two by June 30th of each school year. 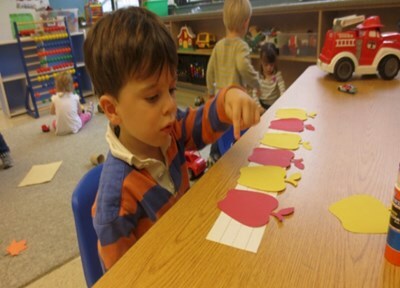 The Early Preschool Program is geared to create a foundation for the early education years. Special focus will be placed on learning fundamental concepts, developing social skills and becoming acclimated to a school setting. Children do not need to be potty-trained to enroll in the Early Preschool Program.